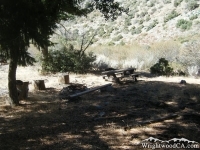 Cabin Flat Campground is located south of Wrightwood, deep in the Prairie Fork, below Blue Ridge. 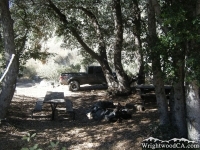 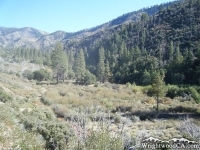 This is without question, the most secluded campground in the Wrightwood area, as it is impossible to reach by vehicle. 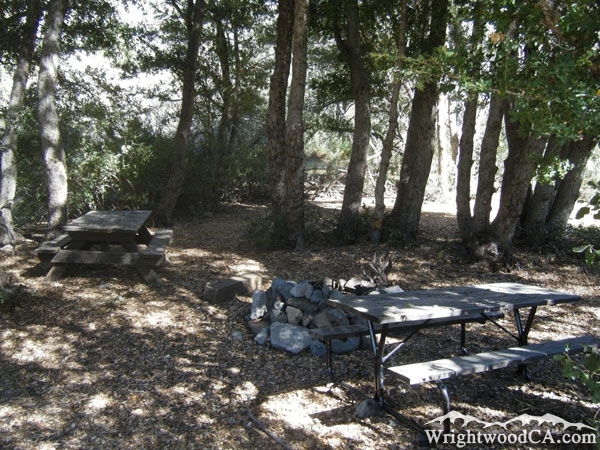 Since the road after Lupine Campground is now wilderness and strictly prohibited to drive on, Cabin Flat Campground is only accessible by foot. 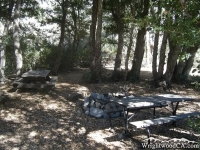 There are 12 campsites in the campground with pit toilets. There is no running water, and obviously no RV access. 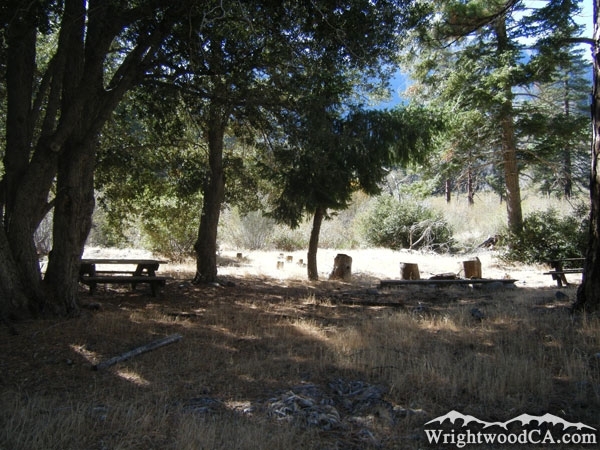 At 5,300 feet in elevation, Cabin Flat Campground is a little warmer than Lupine Campground and doesn't have as much tree coverage. 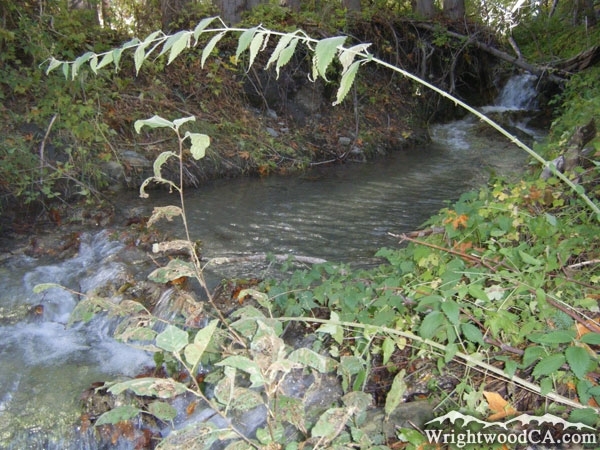 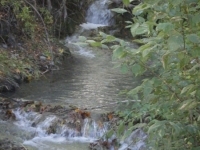 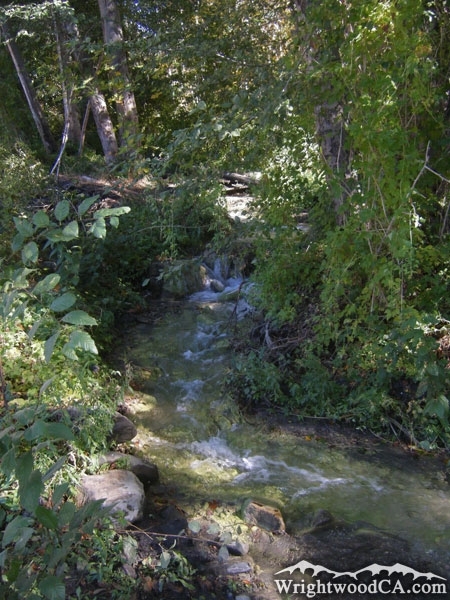 There is a small creek that runs along the south side of the campground. 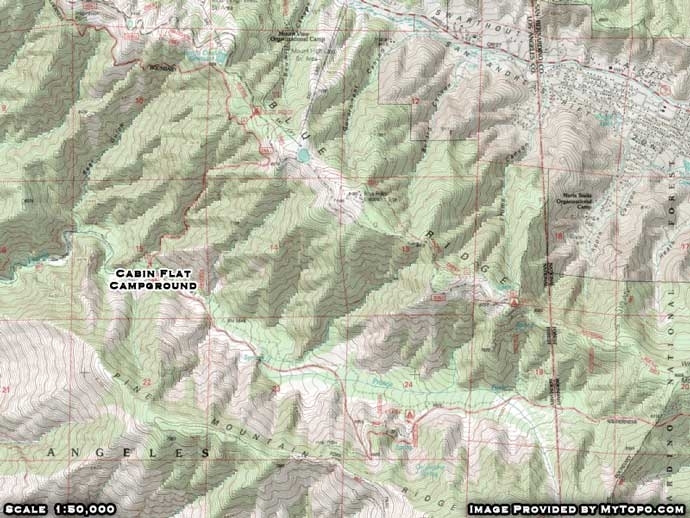 The Prairie Fork Trail actually starts in Cabin Flat Campground and runs down toward Mine Gulch. 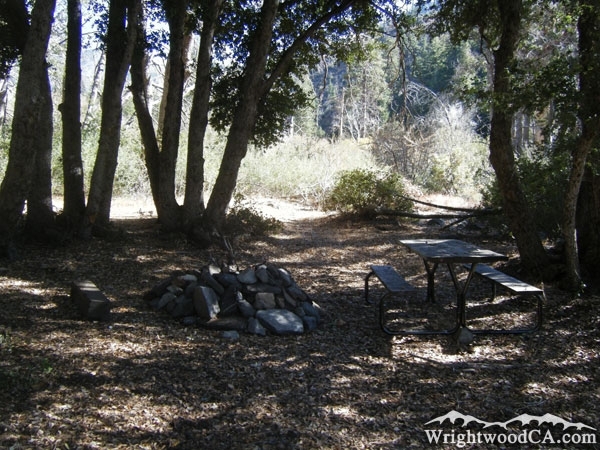 There is no fee to camp in Cabin Flat Campground, other than the display of a National Forest Adventure Pass in the windshield of your vehicle (when you leave it at Lupine or elsewhere). 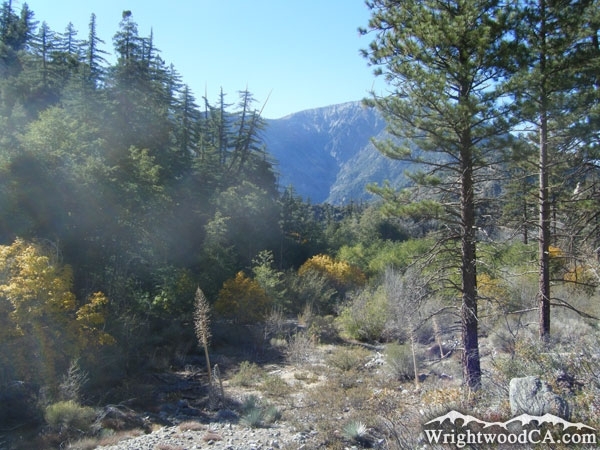 Take Highway 2 westbound from the town of Wrightwood to Inspiration Point. 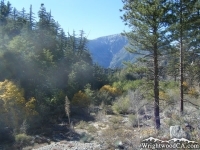 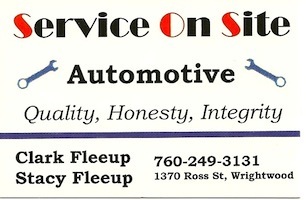 From Inspiration Point, take Blue Ridge Road eastbound past Blue Ridge Campground, to the Guffy Campground split. 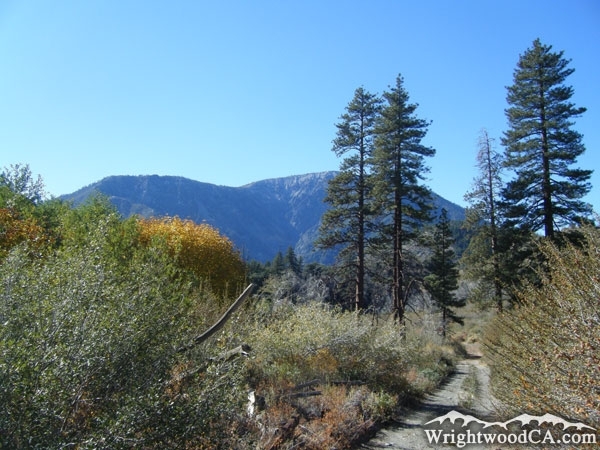 Take the lower road down to Lupine Campground. Park your vehicle in Lupine Campground (with an Adventure Pass in your windshield), then hike down to Cabin Flat Campground. 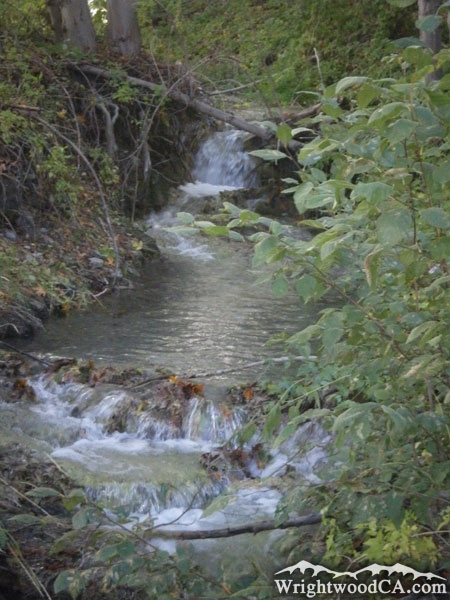 If you're really in the mood for an adventure, park your vehicle at Vincent Gap and hike down the Mine Gulch Trail to the Prairie Fork Trail. 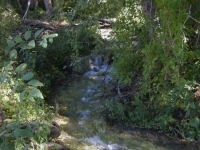 Take the Prairie Fork Trail up to Cabin Flat Campground.